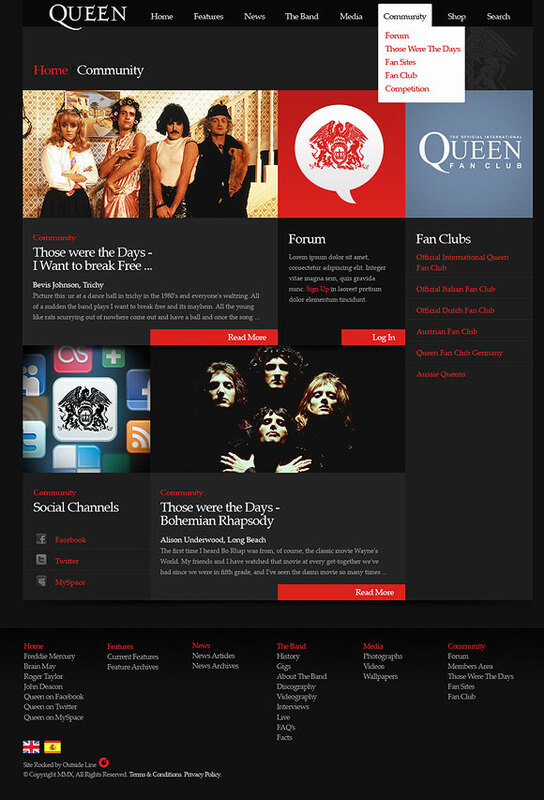 Finished a few months ago, this was quite a big site redesign for the official Queen Online website. 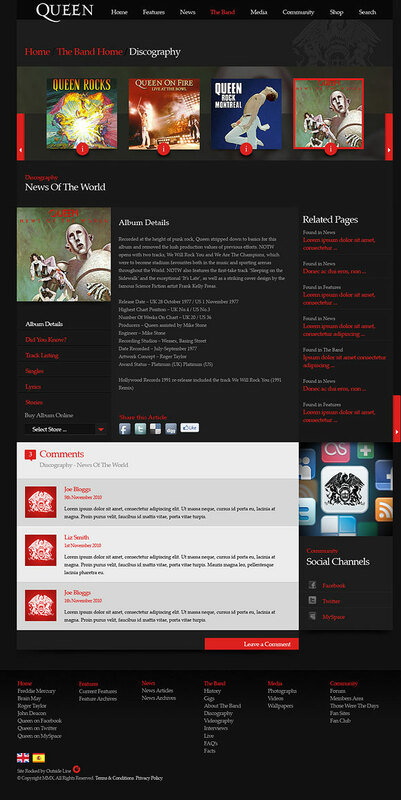 The redesign also coincides with the 40th anniversary of the band. Now including facebook functionality, within it’s first week of launch user engagement rose some 400%. By Electrolyte Posted in web, work You can follow any responses to this entry through the RSS 2.0 feed No Comments	You can leave a response, or trackback from your own site.